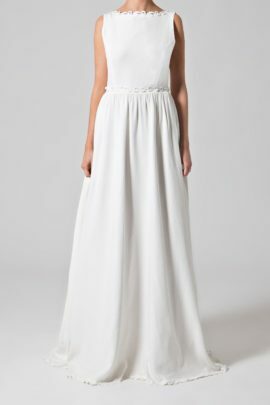 This ivory tea length dress is perfect if you are looking for a non traditional wedding dress. The wide ivory sash belt and plunging back line with cute pearl buttons create a stunning effect with fabulous diamante shoulder details. 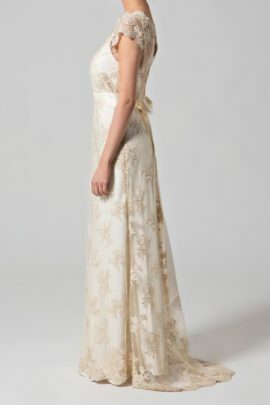 This glamorous tea length dress features a bateau neckline at the front. A dramatic v neck back is decorated with cute pearl buttons over a zip closing. 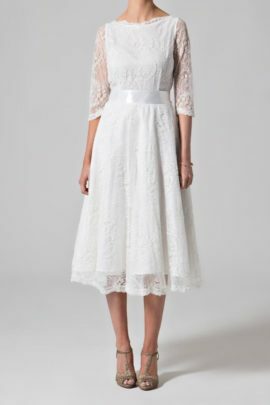 The 1950’s style skirt has a tulle underskirt to create a lovely fullness that is great for dancing in! 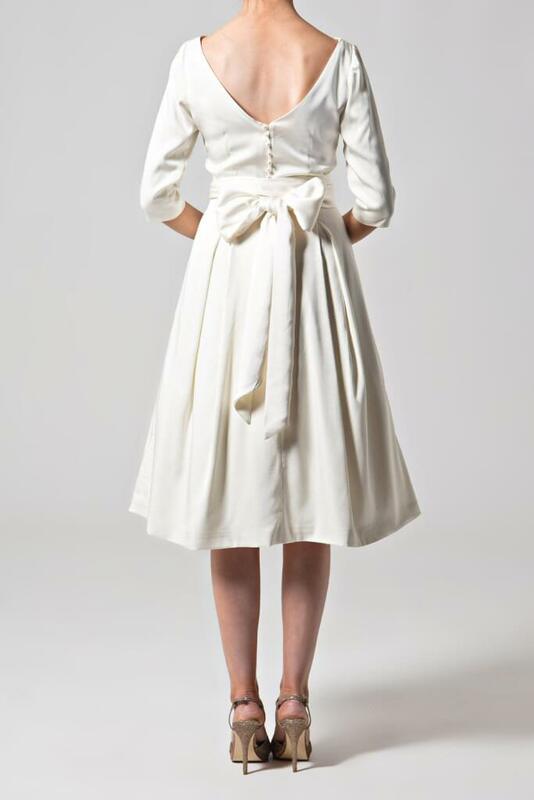 At the waist sits a stylish sash belt which is tied in a large bow at the back creating a slimming silhouette. The sparkly square diamante epaulettes are a striking feature creating a modern twist on the 1950s style. Made in a heavy satin fabric it is ideal for the autumn/winter wedding.